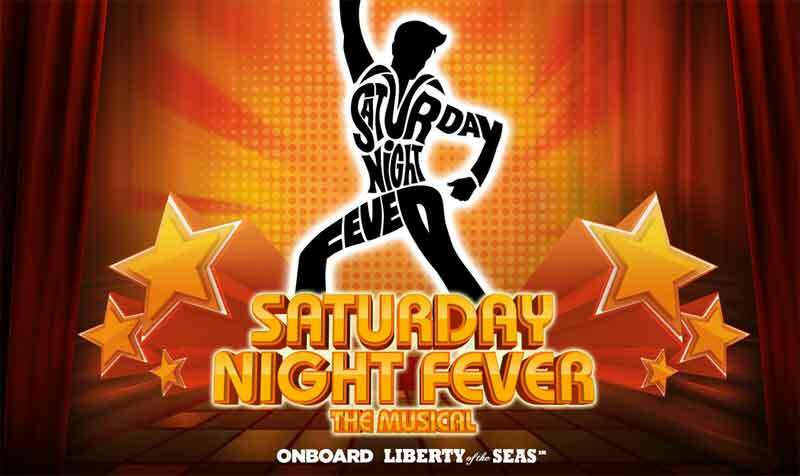 Royal Caribbean Cruises will be holding open auditions in New York City and London for their production of the hit musical, “Saturday Night Fever”. The production is seeking to fill, lead, supporting and ensemble roles. The show’s casting directors are seeking actors, singers and dancers to work on board their luxury cruise ships that travel around the world. Auditions will be held at New York City’s Pearl Studios as well as London’s Pineapple Studios in early 2016. The show is also casting for ensemble dancers who are proficient in Ballet and Jazz techniques. “Saturday Night Fever” is based on Nik Cohn’s 1975 New York Magazine article “Tribal Rites of the New Saturday Night” and Norman Wexler’s 1977 screenplay it inspired, Saturday Night Fever focuses on Tony Manero, a Brooklyn youth whose weekend is spent at the local discotheque. There he luxuriates in the admiration of the crowd and a growing relationship with Stephanie Mangano, and can temporarily forget the realities of his life, including a dead-end job in a paint store. Plays 18-20, awkward Brooklyn Italian. One of “the Faces” (Tony’s gang). Insecure and needy. A troubled soul who tries too hard. Believable Brooklyn accent, strong mover with a show-stopping pop voice. Plays 25-30. Tony’s brother. Brooklyn Italian genuine, paternal, spiritual energy. Believable Brooklyn accent, strong mover with a strong pop/rock voice. Plays 40-60, versatile actor/singer/dancer to play two roles. Monty- handsome, womanizing, high-energy, DJ with a genuinely likable nod to 60’s free-spirited sexuality. Frank Sr.- Tony’s Brooklyn Italian, iron-fisted father who leads with bloated pride in the face of unemployment. Plays 40-60, Tony’s Brooklyn Italian mother. Opinionated, devout Catholic. Movement a plus. Plays 18-25, (Tony cover) handsome Brooklyn Italian lady’s man. One of “the Faces” (Tony’s gang). Genuinely tough guy, cocky, a criminal in the making. Believable Brooklyn accent. Strong dancer with a good pop voice. Plays 18-25, (Bobby C cover) cute Brooklyn Italian. One of “the Faces” (Tony’s gang). Bumbling klutz, a little befuddled. A follower. Believable Brooklyn accent. Strong dancer with good pop voice. Come prepared with your best 16-32 bars of 2 contrasting up-tempo pieces in Pop style. Sheet music is required in the proper key. Be prepared to dance and read sides. Singers will also perform in our 2nd production show. Vocal versatility a plus. I WOULD LIKE TO APPLY FOR AUDITIONS. THANK YOU. Movies- Casino, Soprano’s, American Gangster, Creed, Bound by Blood, Deadly Ties.